This card completes my set in the 2005 Leaf Great American Heroes series. 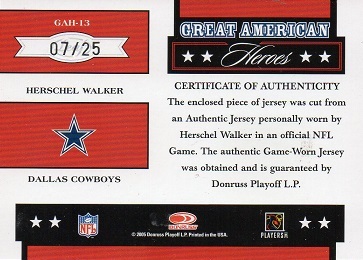 It's the jersey prime swatch card of Herschel, and is serial numbered to 25. 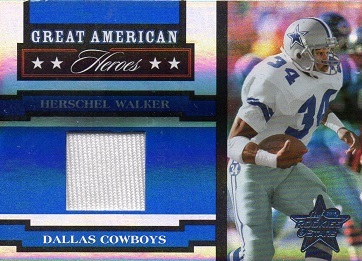 It is the six hundredth fifty first different Herschel Walker card to join the Herschel Hoard.